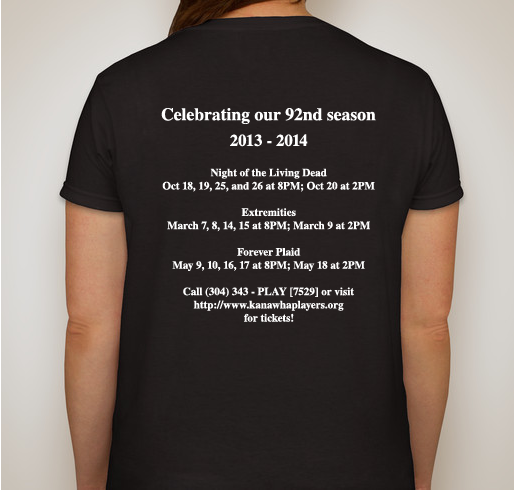 Help KP fund our 92nd season! All funds raised will go directly to Kanawha Players Theater . Kanawha Players Theater is the 2nd oldest, continually operating, amateur theater in the country. 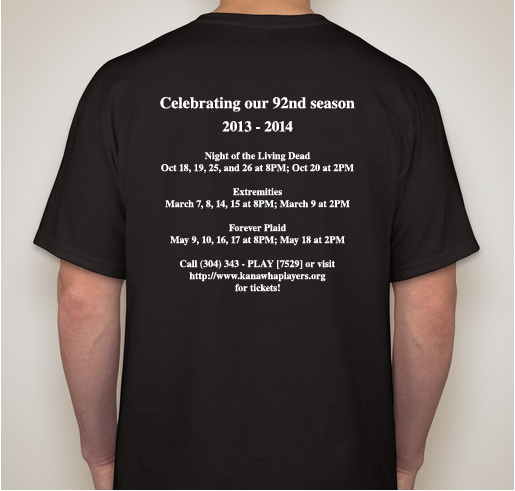 Help us prepare for our exciting 92nd season by purchasing our 2013-2014 season t-shirt! Your support is greatly appreciated! If we reach 150 shirts sold we will earn $1,330. 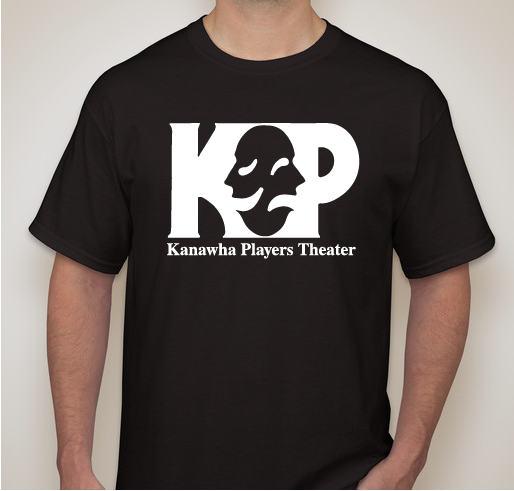 All funds raised will go directly towards Kanawha Players Theater. Please contact Kanawha Players with any questions you have. Kanawha Players Theater is the second oldest, continually operating, amateur theater in the country. The theater has produced a season of live performances since 1922. Even through the Great Depression, Kanawha Players kept entertaining. In 1941 Kanawha Players Theater was named 'The Official Theater of West Virginia'. Now, in our 92nd season, with a new President, new Board of Directors, and a team of volunteers from the community (including you! ), we plan to continue our long-standing tradition of bringing quality community theater to West Virginia, as well as, improve our community relations and involve the public even more than ever! 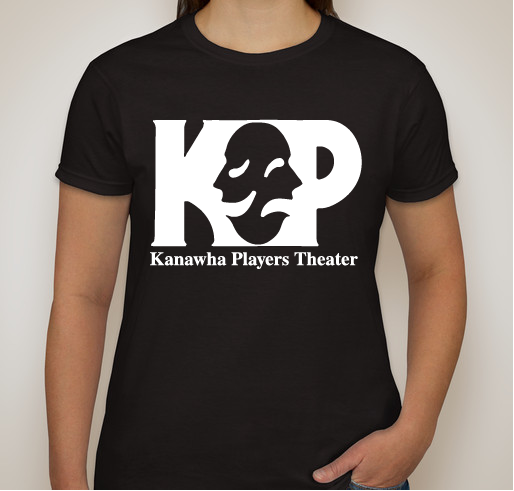 A portion of every shirt sold goes directly to Kanawha Players to aid in funding our exciting 92nd season. Performances this season include: Night of the Living Dead, Extremities, and Forever Plaid. In addition, KP will be hosting numerous events and several lectures. 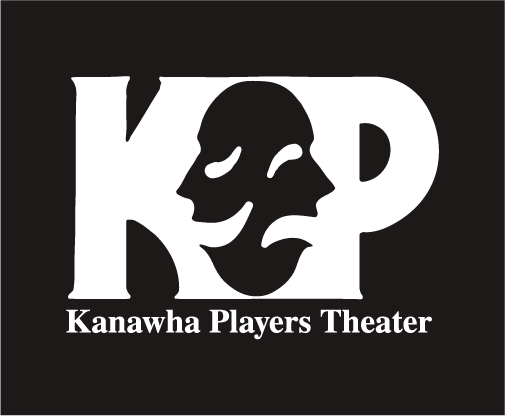 Share Why You Support "Kanawha Players Theater"